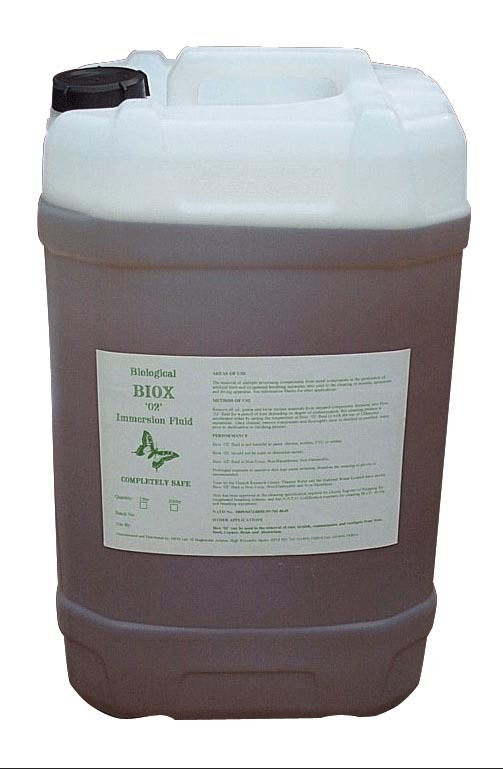 Biological Biox is an oxygen compatible cleaner ideal for use on life support equipment and breathing apparatus. A safe, non-toxic, non-hazardous cleaner, Biox is used to remove rust, tarnish and verdigris on steel, copper, iron, brass and aluminum. Please note that Biox ’02’ liquid’s cleaning results are greatly enhanced when using along with an ultrasonic cleaning bath.